Sometimes I wonder and I really am confused about what saving energy means. If, on the one hand, you want to shut off your computer when you don’t use it, or unplug any phone charger standing by, on the other hand researchers develop complex information systems that can tell you, around the clock, if any device is consuming electricity. The rich people days are over, my friends. Fraunhofer Institute scientists from Sankt Augustin in Germany have developed a PC application that measures the consumption of every plugged-in device in your home. For every device there is plogg, a measuring apparatus mounted between the wall socket and the consumer that measures its power consumption and wirelessly sends that consumption to a central server around your house. The entire system is called “Hydra”, and it even uses its own energy protocol. By using a phone (probably a smartphone), the user can point his camera at a device and send it to the server. 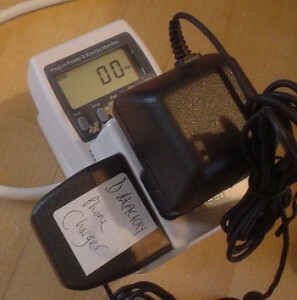 The server then compares the image of that consumer to one that’s been pre-stored internally, and shows the user, via the same phone, the instant energy consumption of the photographed device. I find this “energy-saving” system very interesting and hi-tech, and I would surely adopt it if I could find it commercially, but, as usual, I have one question: don’t all these gizmos consume more energy than they save, in a regular home environment? Think about the fact that you need a server, which is a non-stop working device, and you also need all the other devices that cost money and consume energy. I don’t know for sure if I’m right, but it’s discussable. Electricity supply is big problem in the whole world ,the methods shown in blogs are really useful but along with these we should try our self to reduce the power consumption because saving in electricity will save our nation from power crisis. I have an product called amanation which is approved by America Government which helps in reducing electricity bills. Great article. I agree. If we are consuming then do build the products in the first instance. I liken it to the cars on the road that can travel in excess of 200klm per hour yet our maximum speed is 110klm. It is does not make sense and is providing double messages. Perhaps you should move this to pointless green.!!!!!!!!!!! !